New classification means new labels. 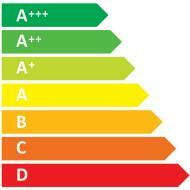 The overall energy rating takes the actual used energy and the cleaning performance into account. The annual energy usage is measured as 50 hours of vacuum cleaning per year​. The better the rating, the cleaner the air is which comes out of your vacuum cleaner. As a general rule of thumb - HEPA 13 gives you an "A" rating for emissions. The rating for dust pick-up on carpets shows you how efficient the vacuum cleaner and nozzle are at cleaning your carpet. At Nilfisk we know, that different applications have different demands. High powered machines with a lower energy rating offers continuous top performance and accommodate the need for deep cleaning. For lighter and general everyday cleaning, we offer efficient eco variants with energy rating from A++. These are especially suited for daytime cleaning as the sound is exceptionally low. Our dual speed variants offer the best of two worlds as they combine maximized continuous performance with the possibility of changing to eco mode and low sound level. Nilfisk offers a wide range of high quality accessories to help your efficiency when cleaning. Please find an overview here​. 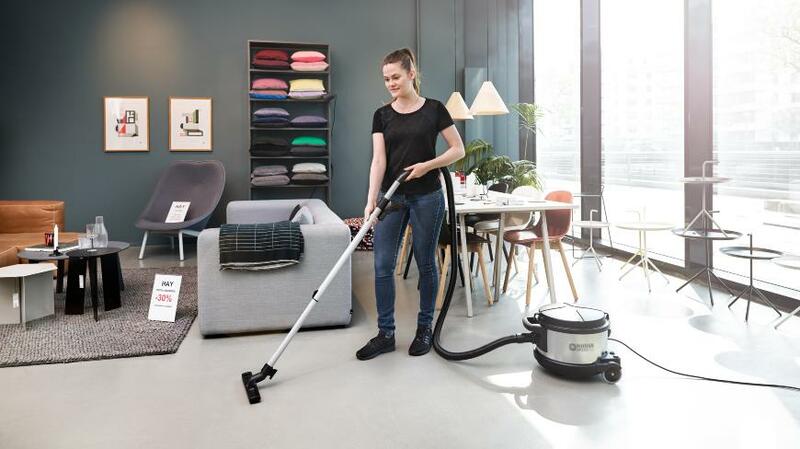 With commercial vacs from Nilfisk you are ensured a best-in-class sound quality enabling day-time cleaning and cleaning in noise sensitive areas.